Yes you can opt to get your car picked up for parking or brought to you back by choosing it online. When you are booking airport parking for yourself on our website, you can select this option to ease things for yourself. This is not only time saving but also without any hassles which you may have to face otherwise when you park your car on your own. It is true that you must be worried about the safety of your vehicle when you hand it over to someone else. But we have a staff of professional and well trained drivers and chauffeurs who will take care of your vehicle and keep it in safe hands. You won’t have to worry about your vehicle in any way and can be completely tension free. We give this guarantee to you! 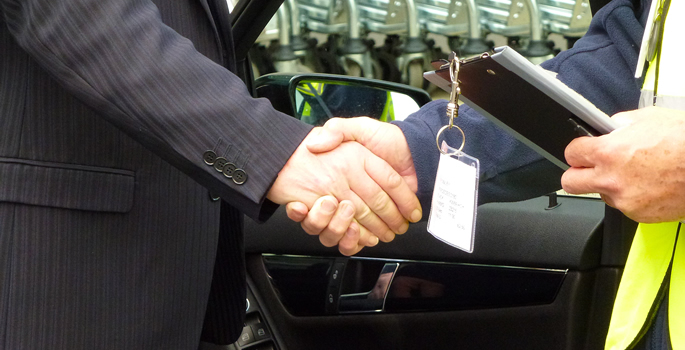 Unlike other airport parking service providers, we don’t charge high rates for even our meet and greet parking option. Since this option brings chauffeurs to you and saves so much of your time, it could be expensive but is not, when you choose ezybook. We offer all our services at extremely pocket friendly prices which you can pick and select without giving it a second thought. So what are you waiting for? Now that you know all there is to know about meet and greet airport parking, you too can select this option through our website or by giving us a call on our 24 hour helpline. Besides this, we offer other parking options as well and they include Park and ride, and onsite airport parking. So book meet and greet at Heathrow today by contacting us whenever you are free. We provide our services at many airports in UK including Heathrow UK. Looking forward to serving you in the best possible way. If you are planning to fly out of the city or country for a few days, then it is important to make all your bookings beforehand so that everything is taken care of. These bookings may include hotel bookings, flight bookings and even airport parking. You must be wondering why to book airport parking but the answer is pretty clear. Well cheap airport parking is the best way to leave your car safe while you are away. If you think that your garage or parking area outside your house is safe, then you are mistaken. There is no place better for your vehicle than airport parking, especially if you are flying out. To go from home to airport or airport to home, you will need to book a cab but a better option is to take your own car to the airport. This eliminates the need for a cab or taxi and also lets you drive in the comfort of your own vehicle. Moreover it enables you to save money on cab fare which you can then spend on the airport parking. Airport parking is a very safe option for your vehicle since such parking lots are under video and manned surveillance 24×7. This means that no harm will come to your vehicle as long as it is under the CCTV surveillance. This option is often not available when you park your car outside your own house in your absence. Airport parking lots are also often covered which protects your vehicle from environmental factors like sunlight, rain and even storms etc. There are several different parking lots which you can select from when booking an airport parking spot. You can either park your vehicle onsite the airport area and also park it a little away at offsite airport parking. While onsite airport parking is more safe and convenient, offsite is a little more pocket friendly. So you can take your pick based on your personal specifications and priorities. Moreover you can park your vehicle for as long as you want, since you will be charged per day. 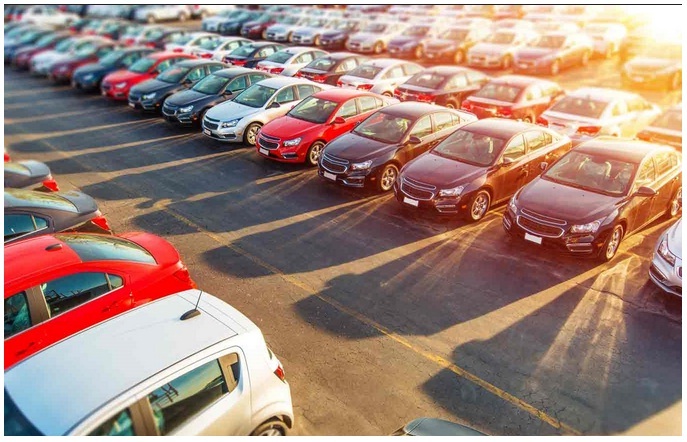 Most airport parking private companies let you book your airport parking spot through their websites which means you can book in advance and avail discounts. Moreover you can choose your preferred spot online before anyone else takes it. If you are looking for airport parking options like meet and greet at Manchester, you can consider ezybook of Manchester UK to be the best option for you. What Should You Know Before Booking Airport Car Parking Online? Are you interested in booking an airport car parking slot online for yourself? Well then there are a few things that you must know and be aware of. Airport car parking is definitely one of the most trusted car parking methods in the world. It provides you with an extremely safe location for your vehicle but booking the slot can be tricky since there are several steps to the process. However, these days the airport car parking companies have made it much easier to use websites that can be used to book slots very quickly and without much confusion. Before you book an airport car parking slot for your vehicle through internet booking, make sure to check all the safety measures and security steps, the service provider is providing to your vehicle. Since you will be leaving an extremely expensive possessions of your’s in someone else’s premises, you must want to leave it assured that it will remain 100% safe. One way to find out how good or bad the service provider is and how safe your car will remain in the airport car parking, is by checking out the customer comments and feedback. This can be easily found either on the website or on the internet. This will help you in knowing the pros and cons about the service, so that you can easily decide on which deal you want to choose. Read the reviews carefully and if you come across anything which is not acceptable for you then you should avoid considering that parking option. Do not hurry in booking the car parking slot at an airport and make sure you check all details such as, drop off and pick up service facility, the exact location of the car park, amenities offered for the elderly, how much amount you will have to pay in advance and other points of this sort. These factors help you make a much clearer decision as these small services can play a big role in your overall experience with the service provider. Different airport car parking service providers ask for varying prices for parking your vehicle for either a short term or a long term. You must be familiar with all the rates being offered and be able to compare them thoroughly before you book the slot. Comparing helps in knowing that you are not paying more for a car parking slot. Now that you know the various things for booking airport car parking online, you can enjoy the multiple benefits of this reliable service. Booking online is very simple and definitely very effective. For further queries and for airport car parking in the UK, check out Ezy Book UK.